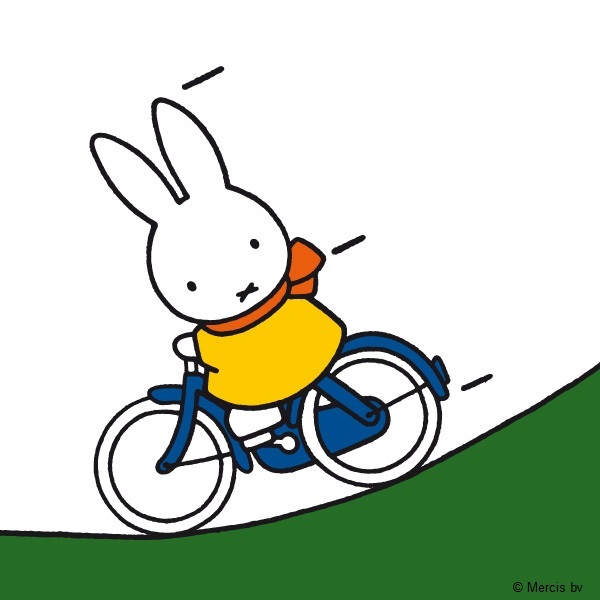 Miffy learnt to ride her bike when she was very little – Father Bunny taught her well! 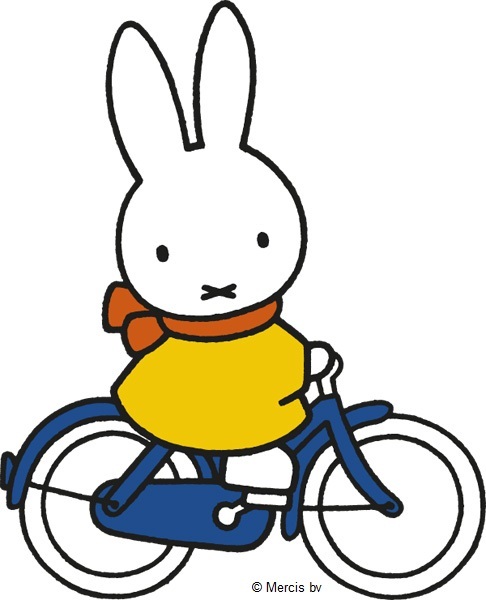 Now she goes on bike rides every weekend, mostly to Aunt Alice’s but also to Grandma and Grandpa Bunny’s. 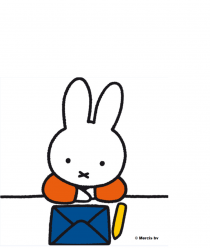 Here are some useful tips from Father Bunny about teaching your little one to ride a bike. Let your child start off with a trike, as it is easier to use than a bike with stabilisers. Or you could try one of the new balance bikes, which have no pedals and are low to the ground. Good for building confidence and balance, they let your child push off and then stop when they want. Once your child is able to balance and confident stopping, it is time to progress to a proper bike. Often stabilisers are a good idea, but you may find your child doesn’t need them if they’ve used a balance bike first. Make sure their first bike is the right size (not too big) and has a good set of breaks. Everyone remembers that childhood moment they first rode a bike… To avoid any tears with your little one, it’s a good idea to hold their back or shoulder and walk alongside them as they start pedalling. Don’t forget to encourage them as much as possible to build their confidence. *Whoosh*! 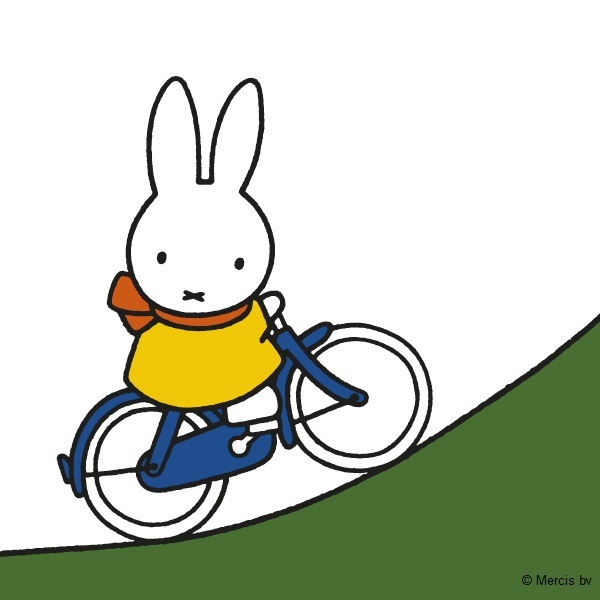 Now you can come on a bike ride with Miffy!